Then you publishing any articles on your site I recommendation to you first find the best keyword for your articles, research on articles title, how many time search on Google or another search engine. Maximum keyword length is 3 words ex. make money online . You have to work in your own Keyword but use the keyword tools for getting a better idea because we don’t know what people are searching on the web but Google knows about what people search on web so first use any keyword tools peek the best keyword for articles. Google tools are the word best tools for research Google have provided this future for advertising on their network, and they provide free tools for research. You need a simple Gmail Account to use this. Google can collect all data on their server people are search whirlwind, Google show extract result for word and provide the best idea for a better keyword. Sign in with your Any Gmail Account and click to Tool option enters your any Keyword and click to get idea button and Google tools have been displaying the result. Then you find this result Avg. 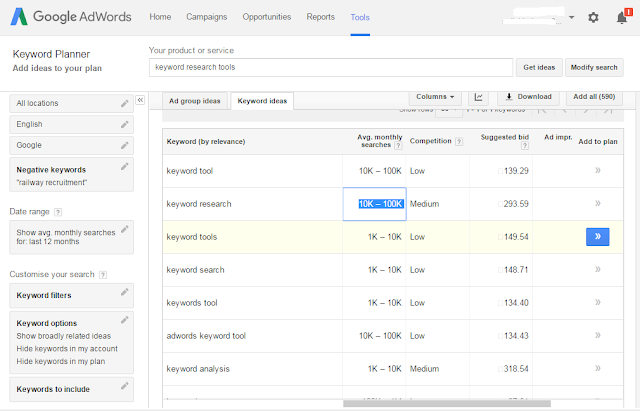 monthly search its mean user have searched this keyword 10k-100k time on month period we have the idea to how many people are searching this keyword always focus on mostly search keyword because is important for increasing traffic on your site. 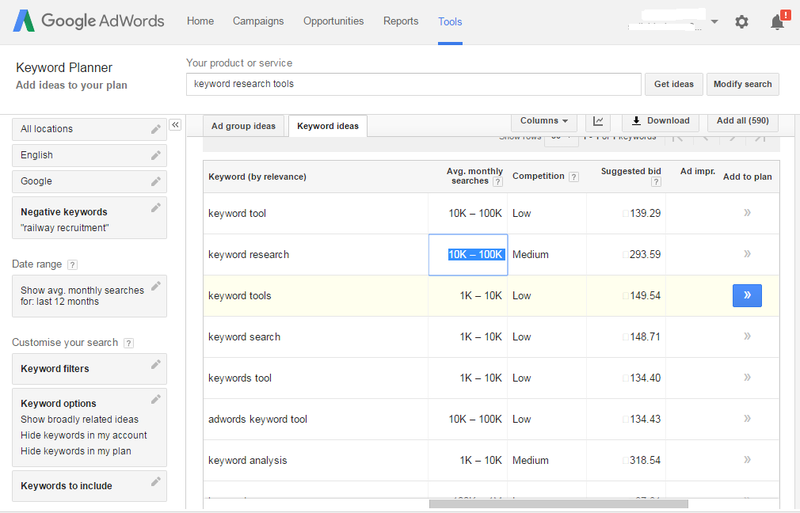 Competition option can show position on the keyword on web low, high, Medium its base on search time on Google search engine. The advertiser can be guessing the bit for the particular keyword on future. The suggested bid is the bid that Google suggests that you place in order to generate optimal impression/traffic levels. 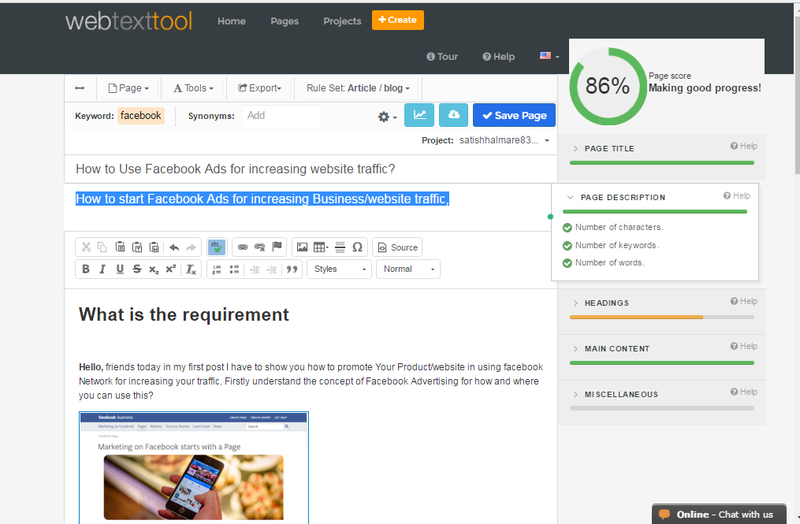 Basically, it is the paid tools but there is free version also available you just register or login for use this tool it’s one of the best tools to optimize your Articles for better rank I request you can use this learn more about SEO. First login or Register the Website and you have in the dashboard area, then go to keyword analyze section enter your keyword and click to give me suggestion button. Go home find dashboard area, New page clicks to open and enter your page link click to create button. Page Score: You can add your post/articles link and find the page score for better ranking show the page score and the get idea for improving it. 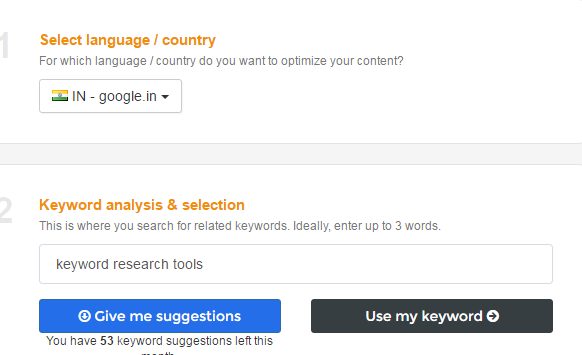 Post Title: the tools can tell you for your title rank on and show where you improve it’s for better rank they suggest your title is maximum 55 characters, a number of keyword use, and word. Page Description: tools suggest to you always use max 155 character description for a post and don’t include more keyword on a description. Main Content : in this menu, tool have shown how many word are using the page there limit maximum and minimums word required for They show keyword density how many keywords you can use in your main articles there is some limit to adding the keyword, at the start of a page you can use, and consider your keyword to an ALT tag an Image this you can use sometimes Search engine target Image for search data . Consider adding one or more links to external sites on your page. it’s one of the best free tools you can use this tools provide more search option for search engine choosing and search you can find bing, yahoo, google, youtube, etc search keyword result on this tools. these tools help you to optimize SEO I hope you enjoying using all tools you can always use Google tools and other can use for just idea for SEO and WebEx tools is very good you can use this for every post creating on your site.